A watch purchased from Tourneau is more than just a watch but rather a symbol of success and status. It communicates the value and appreciation you have for your employees. Add an extra touch of personalization with an engraving on a watch's caseback. 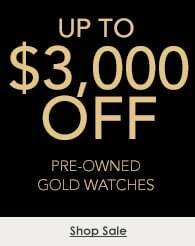 For more information on costs, minimum orders, and lead time, please contact us at 800.424.3113 or corporatesalesdiv@tourneau.com. Timeless in nature, a watch is something classic that can last for years to come. It is a special type of gift that will hold unique sentiment for a lifetime. Worn everyday, a watch completes an outfit while reflecting one's lifestyle and personal taste. 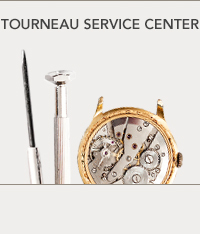 From sporty to formal, Tourneau has watches for all styles. Ranging from basic chronographs to tourbillons and moon phases, Tourneau offers a wide selection of unique watch features for any lifestyle and personal preference.